Well, what is left of it that is. We just got home from our travels. It was so nice to have 5 full days off from work and to be able to spend it at home. It makes it so much harder to come back! 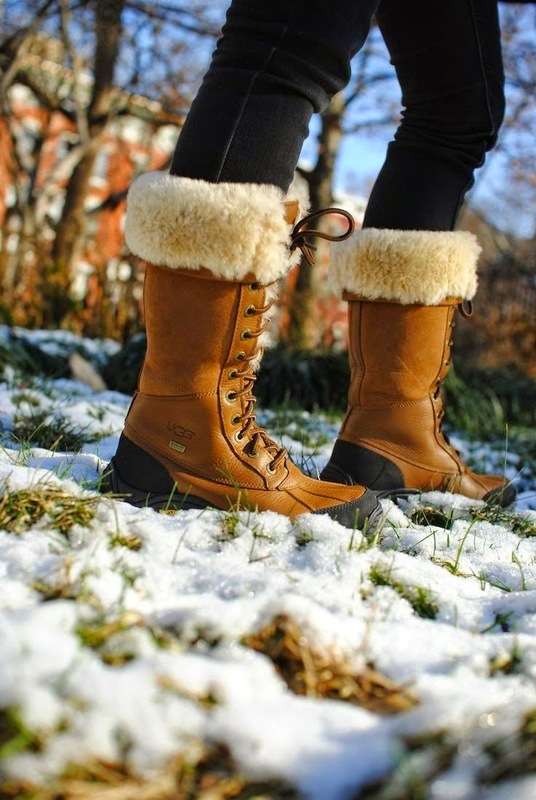 I know I have rain boots but I'd like a pair of snow boots, I don't know why I'm so attracted to them, but I am. I saw a cute pair in Old Navy but can't find them online. This pair is by Ugg, but I don't see them available on their website. 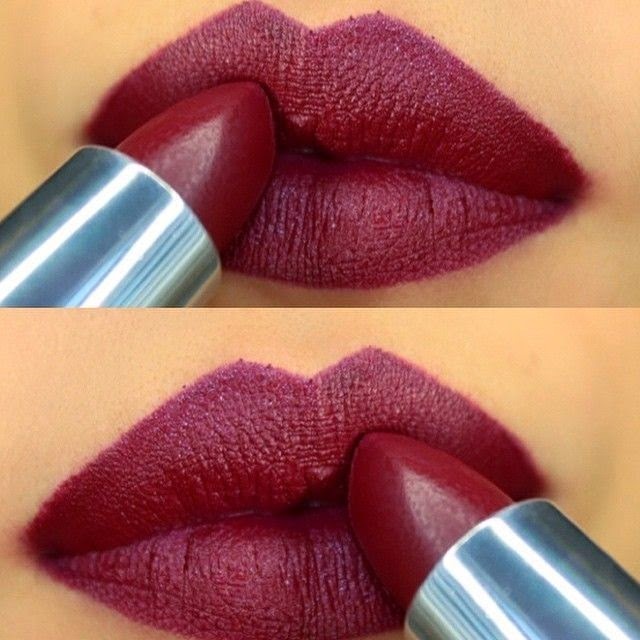 How gorgeous is this lip color?! It's Maybelline lip stick in Divine Wine. You can find it here for $7.99! 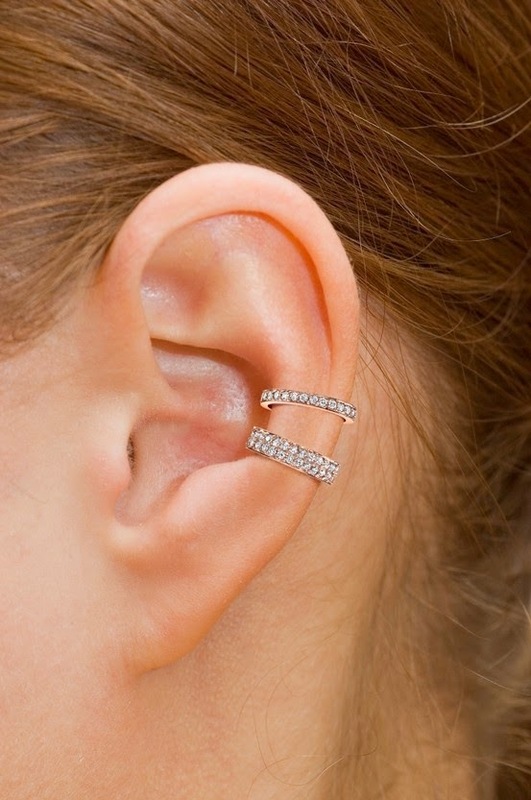 Does anyone remember ear cuffs? I remember wearing them as a teenager all the time, I guess they're making a come back. I love this set, I think it's so pretty. I just don't know if I'll wear them. Unfortunately, they're no longer available. I'll be back Monday with Weekend Recap, and I have SO much to recap this Monday I can't wait! Happy Thanksgiving - a day late! I guess it's better later than never right? I had such an amazing day yesterday, I just love days off spent with your families. I had two dinners to attend yesterday, my family's and my fiance's family. 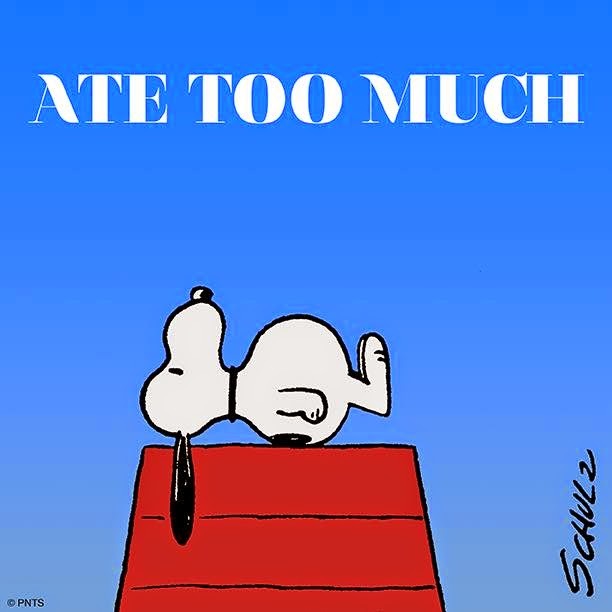 Did I pig out? You bet! Feeling a little like this today.. not a good feeling when you're trying on clothes. Haha. I just want to wish you and your family a Happy Thanksgiving. I know I'm a little late, but I needed to say that. I also need to say that I'm thankful for you. For you coming to visit this little blog of mine and taking the time to read and comment. If it wasn't for you guys, I still wouldn't be doing this 4+ years later. It means the world to me to be able to share things and possibly help if I can. 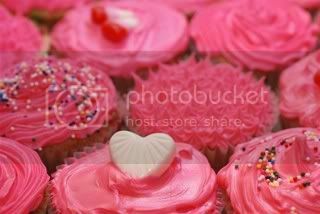 As you may or may not know I love cupcakes. 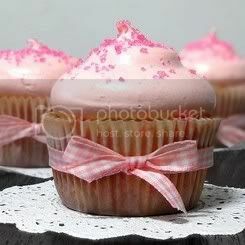 It should be no surprise that I am going with a cupcake cake for the wedding. 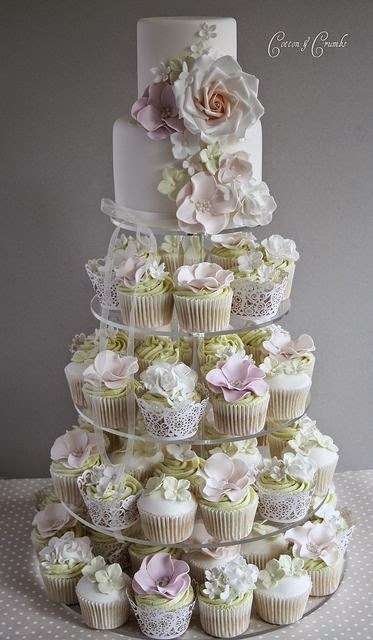 We still have not decided on who will be doing them but I know I want a two tier cake on top and cupcakes cascading down. 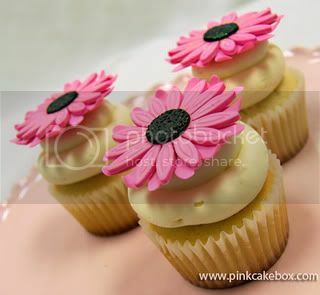 Something like this, maybe a little less fancy and less flowers. Ok, maybe not like this at all. Haha. 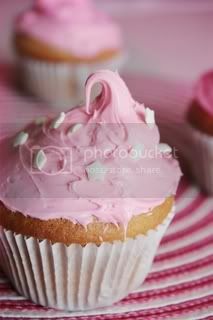 But this is the basic idea of how I want the cake. I also have been on the hunt for a sign I found a Pinterest - "I love you more than cupcakes"
When we went to Pittsburgh, there was a little shop on the Strip District that carried all kind of things and low and behold they had my sign. It's going to be a sign I'll place on the cake table. Have a great Wednesday night! I'm looking forward to some delicious turkey and stuffing tomorrow. Currently blogging from my phone because I haven't set up my laptop at home. Which, by the way, I safely made it home! Thankfully I did before all this snow hits us. Anyway, just a quick post that I finally got my order in from Sephora I ordered last week. And guess what? 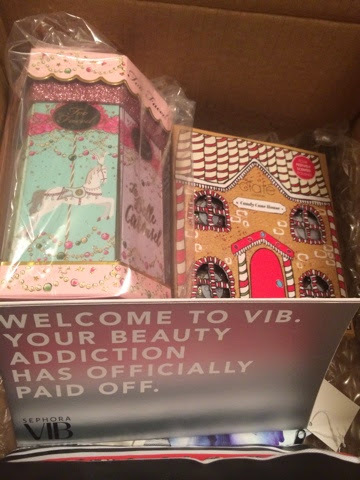 I'm officially VIB! Quick question. I haven't received the VIB card just coupons, does Sephora give a VIB card instead of just the black Beauty Insider card? For whatever reason, I thought they did. Later I will post a haul. For now I'm just sharing a picture from my phone. 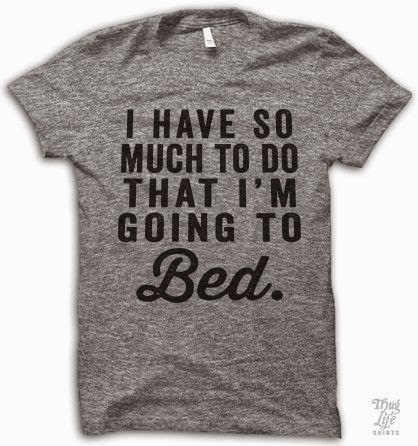 Have a good night, I'm exhausted. I put in a 12 hour day. Happy super short week of work! This past weekend was very eventful for me and I didn't even expect it to be. I wanted to do a lot of cleaning this weekend because I knew we weren't going to be home for a while. Plus I'm "back logged" with taking pictures for my blog because there's no sunlight by the time I get home from work. SO aggravating! I actually decided to make a pit stop on my way to work, something I never do because I would be late. But Friday I stopped for a hot chocolate, I think Sheetz has the best hot chocolate. I also wore my stripped maxi skirt, black cardigan with scarf my best friend got me last christmas and some black boots. It was a very comfy day. I also, finally, got my blanket scarf I've been waiting over a month for from eBay.com. It's HUGE! And I absolutely love it. I went through all my scrapbook stuff I get at the flea market for .50 each to make my Christmas cards with. Saturday night I spent my night listening to Christmas music and making my Christmas cards. I also brought out my Mr. & Mrs. pillows I got from Hobby Lobby and my new Ross throw blanket. (these items will be in a later haul) It definitely transformed our bed though, I really love it. I did some shopping at Joann Fabrics because I got a 60% off coupon, I picked up Christmas presents to make. That night we decided to build our Gingerbread Houses. Unfortunately we couldn't complete them. They will have to wait until we get back from our little vacation. I most likely won't be able to blog tomorrow night because we are driving home because of the storm on Wednesday. So I will talk to you guys on Wedding Wednesday! Who else is excited for a short work week this week? I am, I am! Today I'm showing you some items on my wish list, not a Christmas wish list(I'll save that for another time, after Thanksgiving), but some things I've been eying on Pinterest. Adding a bow to knee high socks makes them so much more desirable! 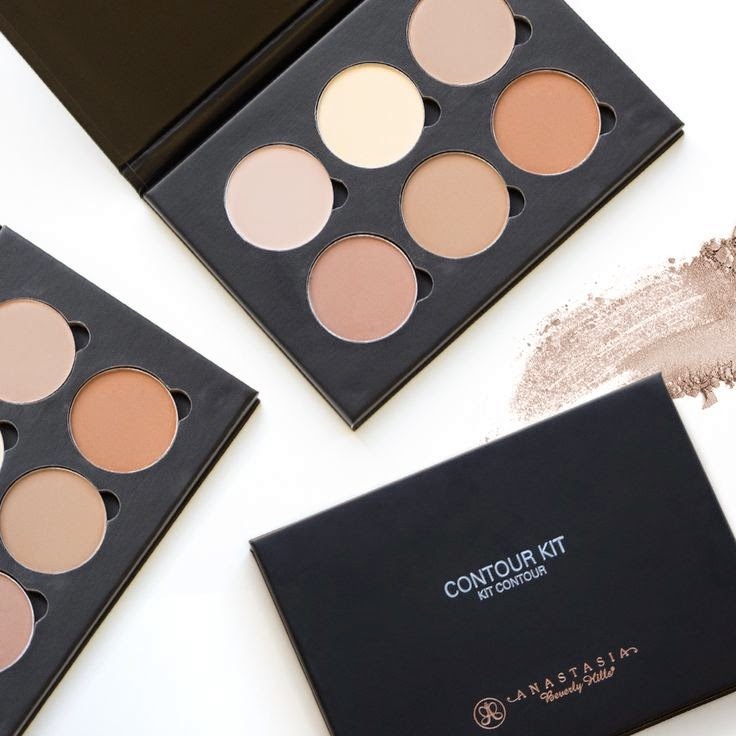 I want this contouring set by Anastasia so bad! I've heard so many good things about it! You can find it here for $40. 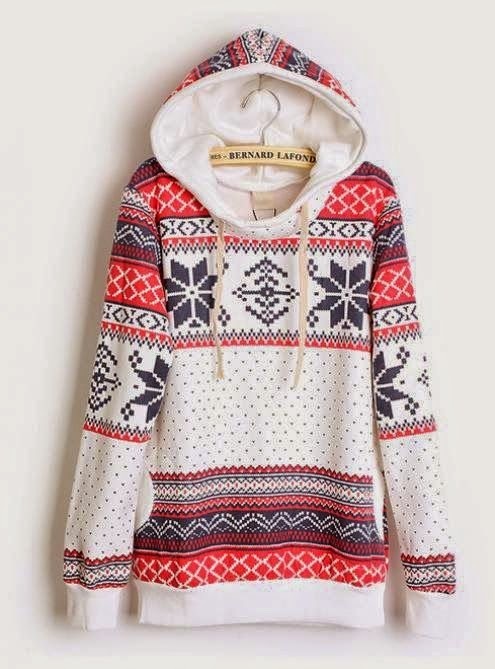 How adorable is this cozy hoodie?! It's perfect for this coming winter and would be perfect to wear on Christmas day! You can find it here for $42 on sale. I LOVE leggings but the fact that these have sequins on them make me want them even more, perfect for the holidays! 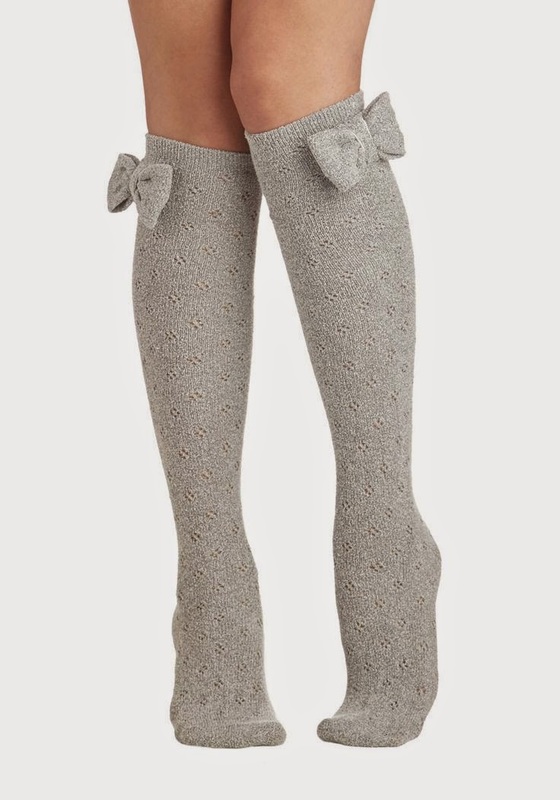 Again, another pair of socks, but this time thigh high and they look super comfortable. You can find them here for $20. My fiance & I are attempting to make gingerbread houses tonight. I'll let you know how it goes tomorrow. Haha. The price point is the same as last years, and it looks like their is only was of the same nail polishes as last years. Are you putting Formula X Paint the Town on your wish list? A couple weeks ago when I was at the Philadelphia Premium Outlets The Body Shop had last year's Christmas items on sale with an additional 50% off the lowest ticket! Check out the items I picked up. I got all 5 of the body butters for $12.50 and the 5 lip butters for $10! Not to mention, how adorable is this packaging. I took out all the body butter's and put them in the bathroom. I'm currently using the Shea butter and I'm loving it! The container I've been using now has lasted me for almost 3 weeks now, and I use it every night. I saved both of the packaging on these and plan on doing something crafty with them. I thought about make a wreath from the popsicle one. I've also been testing out the lip butter and I must say I'm loving it. The scent of the body butters really do last on your skin for a long time. Throughout the day I get wiffs of it here and there, which is nice to know it's lasting for more than just a hour! Have a great Thursday night! 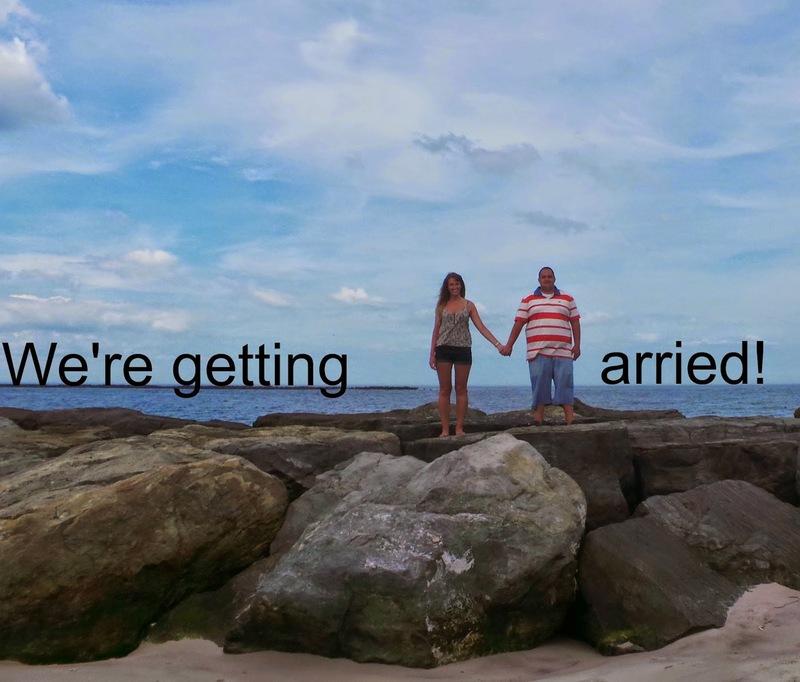 Today I have a picture to share that my fiance & I took while at the beach this summer. I found a picture on Pinterest that I completely copied and I do not take credit for at all. But I wanted to have it for myself. 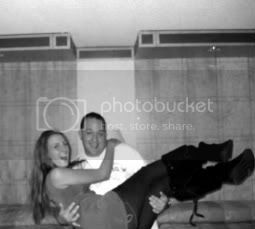 I may use it for our wedding announcement in the paper or may put it up on our website. We were fortunate enough to know someone with a good camera and good editing skills to come up with this picture. I definitely encourage people to get ideas on Pinterest or photography websites to get inspired for their own engagement sessions or wedding pictures. It was a huge help for us when we were getting our pictures done. Literally when I say random, I mean random. Today I stopped at Joann Fabrics after work because I received a mailer with this Charlie Brown Christmas No Sew blanket. Do I need a no sew blanket? No. But in my defense it's Charlie Brown, how can you not want it?! It's originally $27.99 but I had a coupon for 40% off I ended up getting it for around $17. Not bad. Last night we did some shopping at Wal-Mart. I picked up these items. I've heard good and bad things about this nail polish. I don't own any gel nail polishes nor do I own the kit, but I thought I would give this a try. I'm really testing it out for my mom. I'd like to get her a set because I know she likes gel nails. She's gotten them done before and she liked how long they lasted. I feel like this is easier for her than getting her a lamp, etc. I'll report back. See? How completely random was that? I was too excited about my no sew blanket I had to make a post, but I couldn't just blog about how excited I was about it, how boring would that be!? My Fiance & I went home for the weekend again, but we had a full 2 days home which was nice. I spent a lot of time with my family and friends and it was well needed. It makes me miss home so much more. I brought out my booties I got last year from JCPenney on sale. They were extremely comfortable and I got a lot of compliments on them! My two besties got together on Friday night and we had this wonderful mixture of drinks. It was delicious! My family and I went to Hobby Lobby. It was my dad and brother's first time there and they fell in love - they have a lot of guy stuff there too. I also stumbled upon these two polymer clay magnets. How adorable are they?! I really want to get back into working with polymer clay, one day. How cute is this tree topper? I should have bought it for my pink tree! I'm obsessed with these pink tree's, I keep taking pictures of them. I should have bought one. Ugh. Regrets! I also stumbled across this M&M fleece fabric. I really want to purchase it but don't know for who! My brother took my family & I out for dinner at Texas - SO good! While browsing the ad's (my favorite thing to do on Sunday's when I'm home) I stumbled across Charlie Brown's no-sew fleece blanket. I need to run to our local Joann's to purchase this. I love Snoopy! Our little watch dog, he thinks he is so tough. I found this cute chalkboard quote on Pinterest and copied. Hehe. It's almost Thanksgiving afterall!